If you’re new to Open Cart, navigating this CMS can be strange to start with, and locating where and how to edit your site for SEO purposes can be a real challenge. 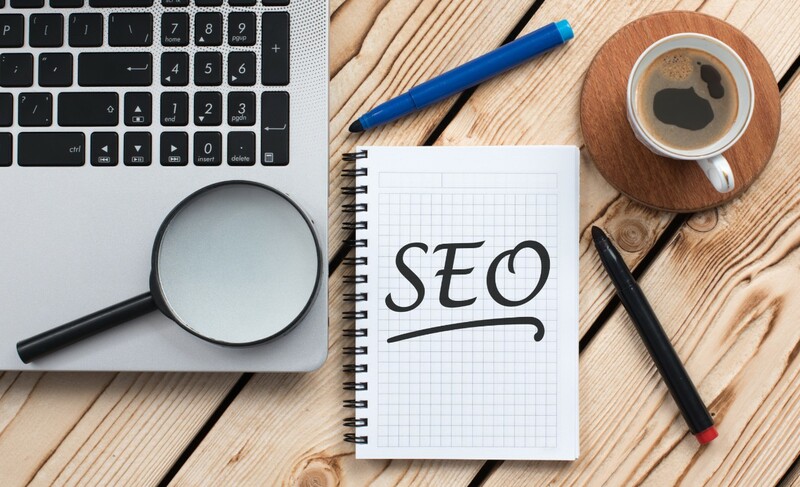 Plus, even if you’re well versed with Open Cart, if you have yet to optimise it for search you might find it tricky to find some of the key pages on which to make your vital SEO changes. Or perhaps you’re just looking to learn a little more about Search Engine Optimisation in general, and how you can improve your Open Cart site and help drive more traffic to your landing pages. If any of the above is you, then we’re here to help! Open Cart is not always entirely user friendly when it comes to SEO, but we’re going to take you through the main key on-site optimisation that you should do for your site, and how to find the right bits to edit. For some edits, you may need to ask your website developer to install certain plugins, modules or make changes to the website code via the .htaccess file, if you are not experienced in web development or comfortable making these changes. However, we have included all your options for editing so you have the most amount of choice available. Firstly, let’s introduce the main SEO elements we’re going to cover. These are the SEO basics mind! There is also plenty more you can do for your site, but for basic on-site optimisation, these cover most of your bases. For the purposes of keeping this article swift and to the point (and hopefully therefore the most use for you looking to get straight to the actionable help) we’re going to assume that you are happy optimising each of the above – although I will offer some useful optimisation tips as we go. When optimising titles, ensure that your keywords are as close to the start of the title as possible, without compromising on the readability. You will need to edit the titles of all of your pages ideally, but if you have lots of pages to edit (I know this can go into the hundreds and thousands) then you’ll want to prioritise your most important landing pages first, and then delve down into less important landing pages, category pages and product pages. Optimising content is simple if you follow the rules: provide value to your users and use your keywords (and synonyms around your topic, also know as LSI’s) throughout IN A NATURAL WAY – ie. don’t over-optimise and use them in every sentence. Focus on providing value on the right topic and you’ll be away. To provide value research around topics to find what your users want to know/area searching for and provide that. You will be rewarded by better on-site engagement which Google will then reward with better rankings. Navigate to Settings>>Edit>>Store. Then edit the Meta Title section. Here you can also edit your homepage’s meta description by editing the Meta Tag Description section. Navigate to Extensions>>Modules>>Welcome Module/HTML Content Home Welcome. Then edit your content. You can also install the free Fido-X Homepage Module to make editing the homepage content even easier and keep all your content in one place. To do this simply navigate to Catalog>>Categories>>(Category You Wish To Edit). Here you can once again edit the Meta Title section to edit the page title that will show in the search results, as well pre-define the page’s meta description. Here, you’ll see you can also edit the category page’s content and add meta tags if you wish (although these no longer play a part in SEO, since past SEO’s overused the technique and made it void). Navigate to Catalog>>Products>>the blue pencil Edit symbol to the right of the screen for the product you wish to edit. Edit the Meta Tag title to change your SEO page title and the Meta Tag Description to change your SEO meta description. You can also edit the page content on this page. As in the above example explaining how to edit the page title for Product Pages, you follow the same route to edit the H1 or Product Name. 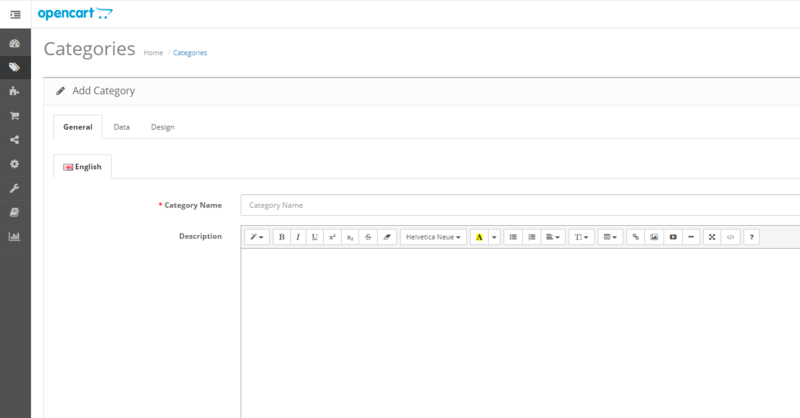 Navigate to Catalog>>Products>>(Product You Wish to Edit) and edit the ‘Product Name’ to change your H1. Pro Tip: Try to keep your H1 to under 100 characters otherwise it may set off spam signals to the search engines. When it comes to editing your category page H1 header, there are a couple of methods. The easiest method is utilising a plugin, or of course you can manually add code to your site through the .htaccess file. Then simply add in the H1’s you want to the respective category pages by navigating to Catalog>>Categories>>(Category You Wish to Edit). Alternatively, if you have a little more cash to splash, the OpenCart SEO Pack PRO allows you to add and edit both H1s and H2s in that same way on your product and category pages, as well as offering a multitude of other incredibly powerful optimisation tools for your website. This includes keyword generators, canonical tags to avoid penalties from duplicate content as well as Rich Snippet optimisation which helps you optimise for voice search as well as dominate the search for particular phrases. Access your site via the .htaccess file and open the folder of your Theme and go to: Folder>> Template>>Product>>Category.tpl. Add the following code to your homepage. Do note that this code will only display to search engines and not to users. To display to users, edit the CSS to determine how this text will display to users. The next thing to do is to ensure that you have enabled the SEO URL editor in OpenCart. You can do this by navigating to System>>Settings>>(Blue Edit Button for your Store)>>Server. Then check the ‘Use SEO URLs’ section to ‘Yes’. Then click on the ‘Data’ tab, where you can edit your URL extension/permalink in the ‘SEO keyword’ section. Then simply save and update. Adding Alt Text to your product and general images through OpenCart can be done via plugin or hard code. Add the plugin ‘Alt Title Tag Image’ which costs $20.00 to buy. Next to the image you wish to edit on a particular page an ‘Alt Tag’ and ‘Title Tag’ will appear. Set the title tag to what you wish the user to see when they hover over the image in their browser. The alt text is for the visually impaired and should be an accurate description of the image, but you can also utilise this to include keywords for which you want to rank. Then add the columns “alt_text” & “title_text” to the database table “product_image”. Finally, update the corresponding code in the store\catalog to display the values to the product page. We hope this article has outlined some of the ways you can improve the SEO for your OpenCart website and how to do it, but if you have any questions or want us to cover some more optimisation options for OpenCart sites, just let us know! You can tweet myself at @EmilyFedorowycz or the team at @BrightDesignUK, or email us your questions/feedback here.